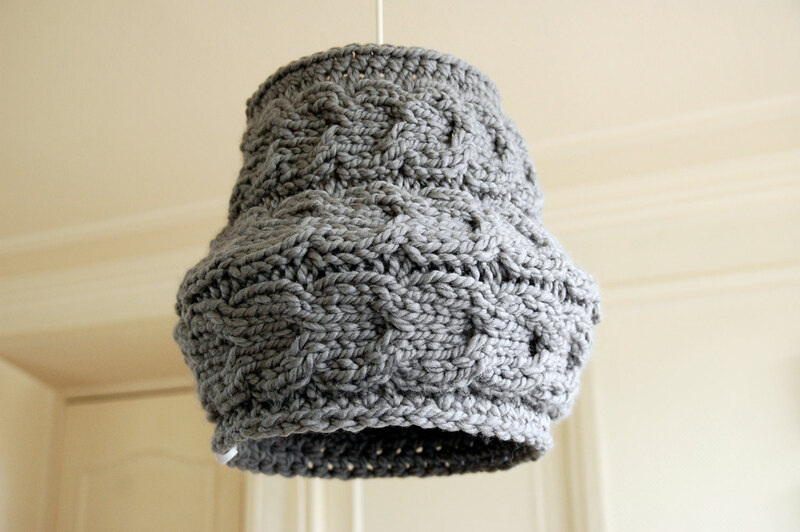 Unique cable knitted lampshade in versatile and always on time grey color. Designed as a multi-purpose: standing or pendant. Very fashionable. 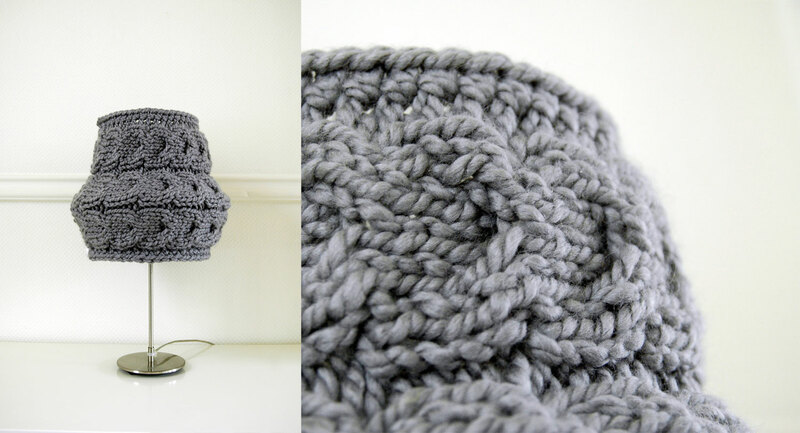 Made of soft, cozy, 80% acrylic and 20% wool yarn. Easy to adjust only with one move: simply change the position of supporting structure inside. 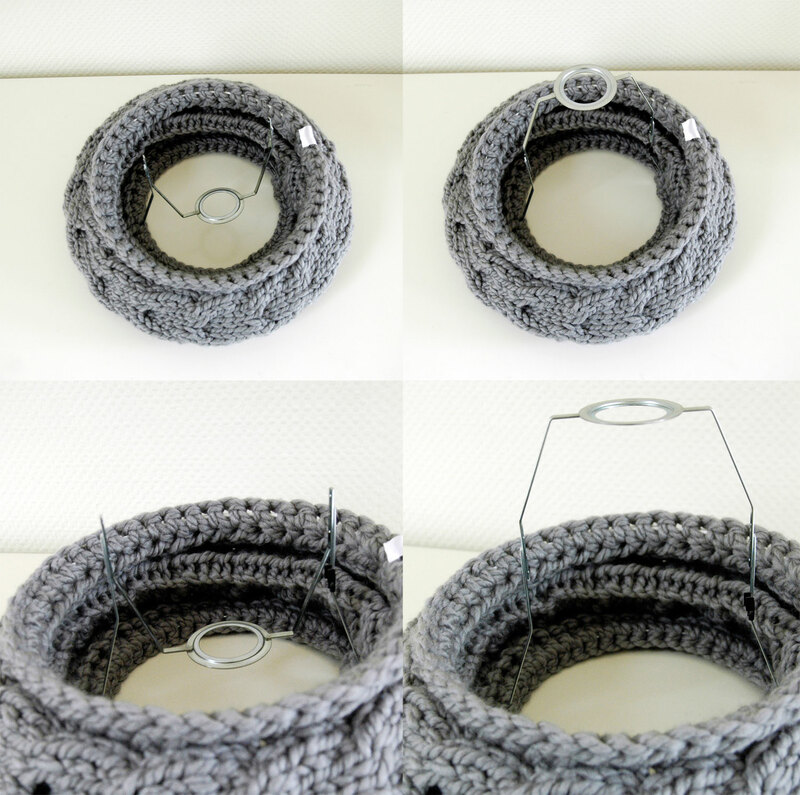 As pendant may be suspended on the cable you already have in the room. As standing shade looks great with a modern and lightweight base. 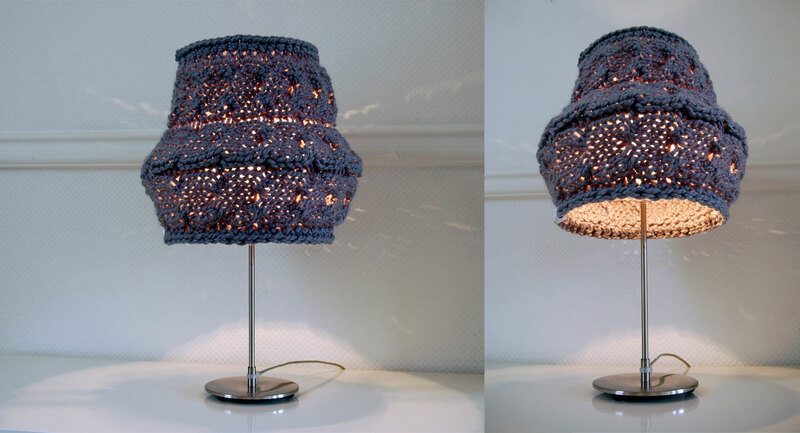 Equally suitable for all kind of lamp bases: smaller table lamp or bigger floor lamp. Nicely admit light, each evening will be a beautiful addition to any room. 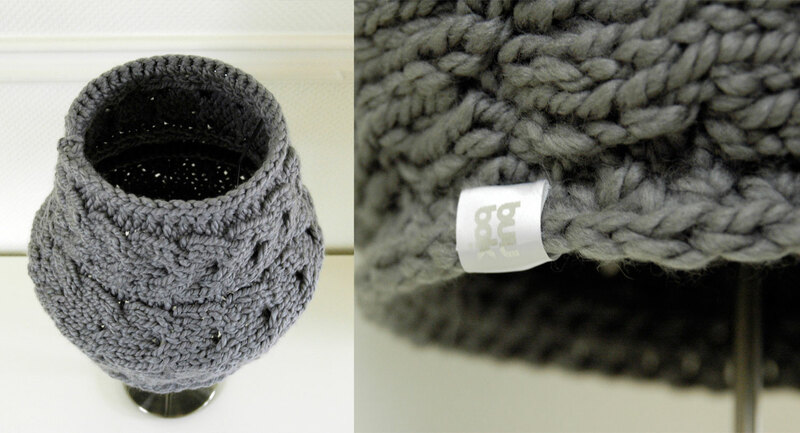 Excellent items that will distinguish every interior. Absolutely exceptional object like all Buubok’s designed lamps. This product is a single copy, which will never be repeated. This picture shows how easy to adjust only with one move: simply change the position of supporting structure inside. 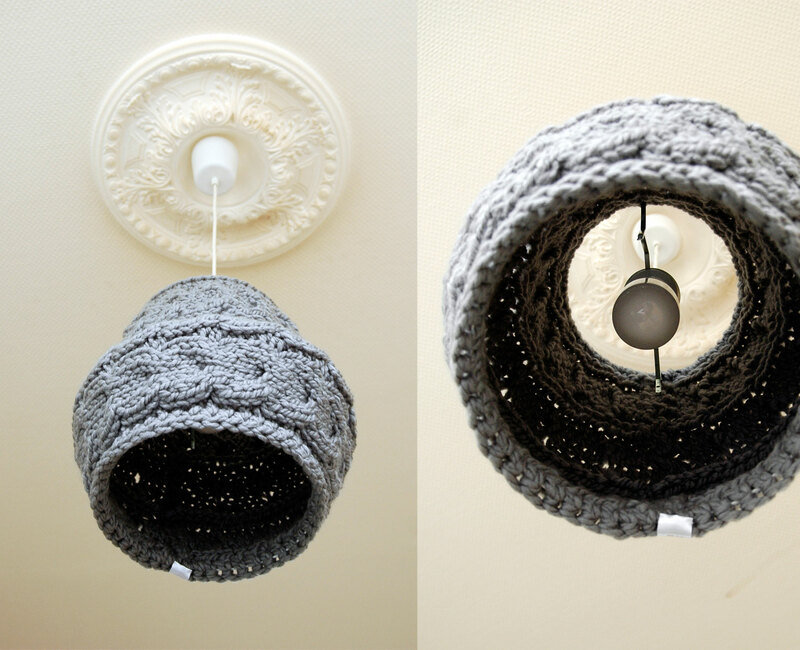 Size: aprox 20 cm [7,87″] at top; 25 cm [9,84″] at the bottom; 35 cm [13,77 “] in the middle; 35 cm [13,77“] high.